Post-sun, post-fun. Refresh and revitalize your skin with our After-Sun Spray! An antioxidant-rich blend of extracts - sourced from the deep sea to high desert - help you keep cool and tan no matter where your adventures take you. Our continuous spray makes it a breeze to apply on sensitive, dry and sunburned skin. This daily essential mist features aloe, mint, and chamomile for an instant calming relief while healing algae and seaweed extracts work to hydrate and condition weathered skin. 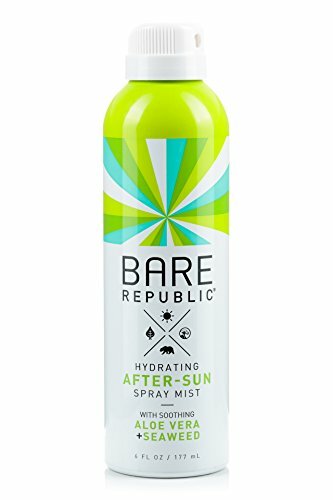 Adventure, repair, repeat!DirectionsSpray generously on the sunburned or irritated skin as needed.The Bare DifferenceAt Bare Republic, we demand a product that can protect your skin without compromising your health, performance, wallet - and most importantly - your fun in the sun! Our broad-spectrum sunscreens are proudly free of chemical actives, synthetic fragrances, petroleum, parabens and anything else we wouldn't want to put on our skin or leave behind in nature. Our eco-active Mineral Sunscreens are formulated for the entire family, so don't be shy, #GOBAREOUTSIDE! Sun Bum's Premium travel-sized sun care essentials for those lazy days in the sun. 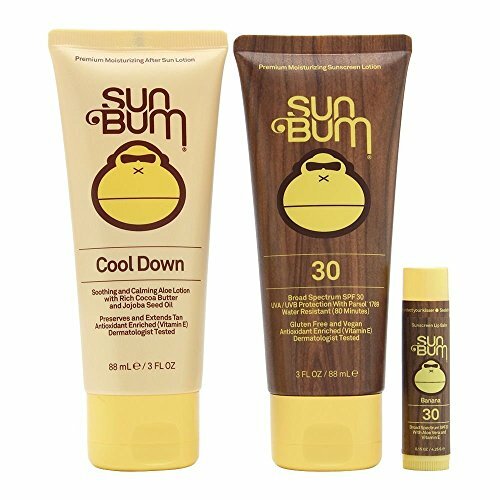 Purchase the Sun Bum Daytripper Kit for a package that comes complete with Sunscreen lotion, lip balm and cool down aloe lotion. 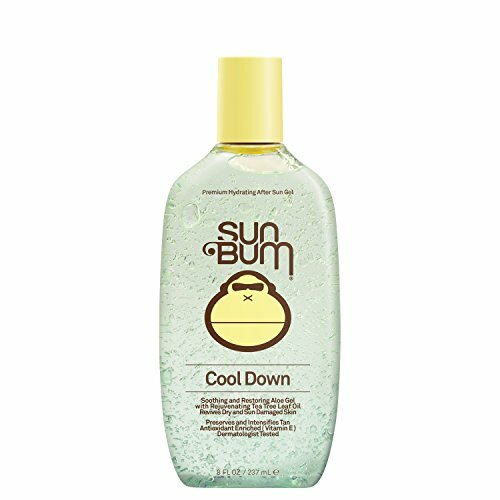 Sun Bum's products are hypoallergenic, paraben free and Vegan. 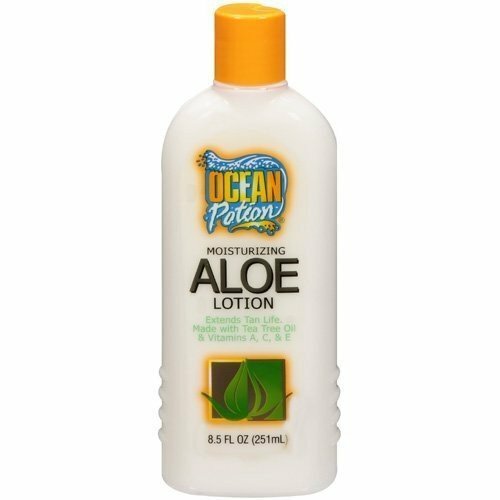 Ocean Potion Moisturizing Aloe Lotion is a rich penetrating lotion formulated to replenish and repair skin cells after exposure to the sun and all other outdoor elements. This unique formula helps keep skin soft and healthy, prevents peeling and maintains your tan weeks longer with regular use. Use all year for smoother, younger looking skin. Made naturally with pure aloe vera gel, vitamins A, C, and E, tea tree oil, herbal extracts, seaweed extract and other natural skin emollients and conditioners. Made in the USA. So, you got greedy and burned your skin. Ease the pain and calm your skin with our ‘Cool Down’ Gel. Vitamin E enriched, our soothing Aloe Gel will rehydrate your sunbaked skin and ease the pain of a burn and help prevent peeling. Keep it refrigerated for bonus relief. 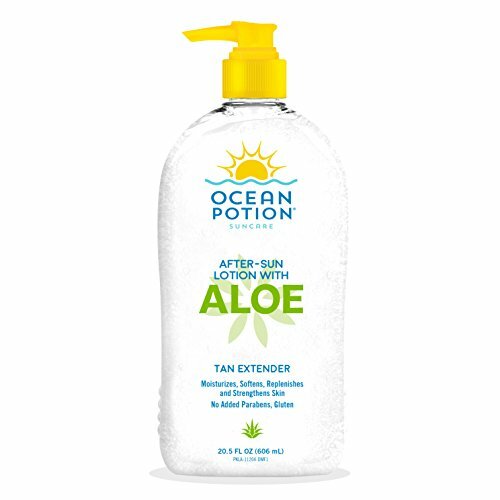 The Ocean Potion Moisturizing Aloe Lotion is an after-sun moisturizing lotion that maintains your tan and prevents peeling. 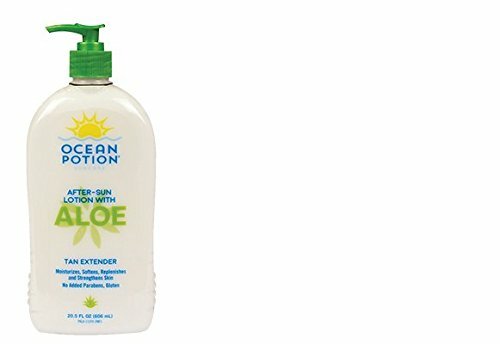 Made naturally with pure aloe vera gel, tea tree oil and herbal and seaweed extracts, the Ocean Potion lotion replenishes and repairs skin cells after exposure to the sun. This moisturizing skin lotion also contains vitamins A, C and E and can be used all year round as a daily moisturizer for smoother and younger looking skin. 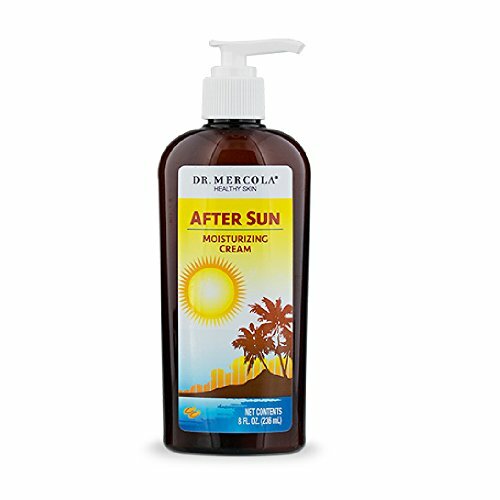 Looking for more After Sun Moisturizing Vitamins similar ideas? Try to explore these searches: Military Field Packs, Flower Wall, and 1951 Dodge Coronet.